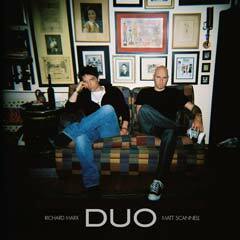 Richard Marx & Matt Scannell "DUO"
Richard Marx and Vertical Horizon's Matt Scannell team up for this intimate, acoustic 10-song download, featuring a brand new song ("Always On Your Mind") they wrote together. Also included are reinventions of mega-hits "Hazard," "Everything You Want," "Endless Summer Nights" and more. 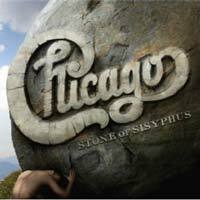 Stone of Sisyphus (Chicago XXXII) will finally be released on june 17th by Rhino records! Sisyphus has attained legendary status among rock critics, Chicago fans, those who ve heard parts of it and those who have only read about it. from liner notes by Bill DeYoung Formed in its namesake city in 1967, Chicago is the first American band ever to propel albums into Billboard®'s pop Top 40 for five consecutive decades, and is among the most successfully charting U.S.-grown acts of all time. Now, another page in the band s history is revealed with the long-awaited release of STONE Of SISYPHUS, the once shelved album that has attained legendary status among fans and critics alike. Recorded in 1993 and originally intended as Chicago XXII, the disc marked a return to the genre-transcending, adventurous fusion of sounds that defined the group s 1970s-era heyday. Three tracks from it surfaced on Rhino's 2003 Chicago box, but the album itself is previously unissued now, this momentous release also features four incredibly rare bonus tracks.Recorded in 1993 and previously unreleased. Legendary underground fan and critical favorite for fifteen years, produced by Peter Wolf. and The Jordanaires (the gospel group that often accompanied Presley) on backing vocals. 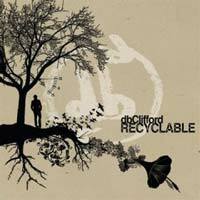 db Clifford's debut album "Recyclable" now available in Europe! dbClifford’s debut album RECYCLABLE proves him to be a young magnetic artist with abundant talent that is already known in many parts of the world. Having written, produced, recorded and played all the instruments on the album, the 27 year old artist is a seasoned trained songwriter and a respected musician. dbClifford used the song "Simple Things" as template for the rest of the album. It is a funky, poppy and opinionated song. The lyrical concept was loosely inspired by “My Favourite Things” from the musical The Sound of Music: a description of the simple things that help you get through the harsh and sometimes unfair realities of life. Other songs on the album bring up heavier subjects such as racial equality in "I Have A Dream" inspired by the Martin Luther King Jr’s speech where dbClifford shares more individual feelings. “Musically this track is very challenging to play because of the constant change of key throughout the song,” explains dbClifford. He also delves into more intimate and personal experiences on the album. From "Give Me Another Day", an intense heartbreak experience, to ‘About A Girl’ that was inspired by his first crush. By the end of 2005 he had signed with Nettwerk Management and Nettwerk One (publishing). Early in 2006 he signed on with SONY BMG MUSIC (Canada) INC. This August Daniel moved to Toronto from Victoria and will soon be hitting the road with his two band members to introduce their unforgettable live show to audiences across the country. Kurt Vereecke presents his "Frozen Rain" first album! Releasing a perfect sounding AOR and Melodic Rock album with songs that are full of memorable hooklines, big guitar sounds, tasteful keyboard accents backed by a strong rhythm section with real live drums was Belgian born Kurt Vereecke's dream for many many years. 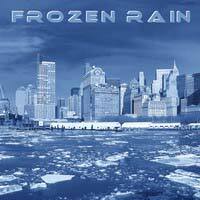 With the release of the first “Frozen Rain” album this fantasy finally became reality in a big way. Kicking of this circle of 12 masterfully produced tracks is the pure AOR bliss of “Waiting For You”, featuring the voice of Johan Waem, a great new talent having the pipes to deliver an amazing AOR vocal performance. Well known already is the talent of Tommy Denander (Radioactive, Deacon Street) who adds the lead guitar solo and a signature rhythm guitar that is prominently featured after the solo section which is opened by Jurgen Vitrier's synth solo in classic Gregg Giuffria style. No time to breathe for AOR lovers with “Wire Of Love”, another stunning AOR hymn giving singer Johan Waem again the chance to shine. This time the solo guitars are played by Sven Bauwens, leaving no doubt that he has the chops to deliver the goods. Back in the old days “Wire Of Love” would have been a staple on Rock Radio stations being the perfect soundtrack for a ride in a convertible on a hot summer day. To keep up the good feeling “Frozen Rain” adds a third rocker to the perfect opening trio of songs called “Music Keeps Me Alive” with the lead vocals of another great singer called Maurice Saelmans. Slowing down the pace for a softer moment is the smooth ballad “My Heart Believes It's True” sung by Ollie Oldenburg (Ex-Zinatra), who has a higher pitched voice matching the songs feeling. An AOR hero from the U.K. steps into the light on “Red Light Zone”, Steve Newman (Newman) took over the mix and added some rhythm guitars on this tune that is opened by Sven Bauwens' guitar leads while the spotlight for the lead solo is on Dan Palladino. The bridge before his guitar solo will inspire many AOR fanatics to play some “Air piano” when they hear the very tasteful piano runs of Frank De Lobel. “On The Run” is a rockin' duet between the singers Ollie Oldenburg and Dirk Cauwels, while the following visit in the “Park Café” has more of a Westcoast AOR feel that is perfectly matched by another Denander lead solo. This midtempo song is the only one to have Peter De Zutter on lead vocals and he does a great job just like his four colleagues. “Never Be A Fool Again”, “Your Love” and the slower paced “Say That You Love Me” are three Melodic Rockers adding the mixing touch and some guitars of American Jim Santos of the band Norway to the record. And just like on most of the songs of the “Frozen Rain” project you will hear more solo work on guitar from Tommy Denander. Another fabulous guest musician is Daniel Flores (Mind's Eye) whose virtuoso druming is heard throughout the album. Other members of the “Frozen Rain Musicians Club” are Guido Priori (Myland), Ward Snauwaert and Alan Williamson. Before the album closes with the Westcoast styled ballad “Tomorrow” you will be carried away by “Little Angel”, another amazing AOR track sung again by Johan Waem and being another highlight on this very consistent album of high calibre AOR and Melodic Rock with an occasional Westcoast touch. The musical result was certainly worth all the long hours picking the right singers and players for each track and working on the perfect song arrangements in the studio. While listening to the “Frozen Rain” album you will be wearing a smile on your face when you are reminded of the Good Old Times and you will realize that Kurt is a perfectionist when it comes to keeping up the spirit of some of his favorite bands like The Storm, Giant, Harlan Cage, Fair Warning, Heartland, Signal, Drive She Said, Boulevard, Skagarack, Treat and Bad Habit that carried on the torch of mighty icons like Journey, Foreigner and Survivor. Steve Overland returns with "Break away"
Escape Music is pleased to announce the release date for the much anticipated solo album from Steve Overland on May 21 in Europe and Japan! This has been a long time coming! Steve Overland is a legend in his own lifetime. Is there anyone out there who is not familiar with his name? He has a history that goes way back into the late seventies, his first major recording was with the band Wildlife in 1980, their first album "Burning" was a fine introduction to his vocal prowess. The second album "Wildlife" in 1983 extended his popularity, the album also featured Simon Kirke (Bad Company) on drums. After the demise of "Wildlife" Steve went on to form the cult British melodic rock band FM, a band that released many great albums throughout the eighties and nineties. The recent one-off performance at the Firefest in Nottingham last year had an enthusiastic crowd bursting at the seams. Their popularity has always been at the forefront of British Hard Rock. Steve originally teamed up with Escape Music to provide lead vocals for the Boston Tribute album (ESM 081), singing 'Amanda', one of the album highlights. With Steve working alongside Escape Music, the 'FM' radio came out of the closet once more, a fine triple album "Long Time No See" (ESM 086) featuring the three albums "Paraphernalia", "Aphrodisiac" and Live at the Astoria. And the double disc Long Lost Friends ESM121 (Dead Man's Shoes and Takin' it to the Streets) More recently Steve teamed up with Steve Morris of Heartland fame to record the much acclaimed Shadowman albums Land of the Living (ESM 099) and Different Angles (ESM127). A third recording is in the pipeline. More recently we have seen two releases by The Ladder, which is a dream come true for all fans of FM as the band is an extension of the great FM. Future Miracles (ESM109) was welcome by fans old and new and it was hailed by many as the best album of 2004. More recently Sacred (ESM149) is an album that hones the identity of "The Ladder". 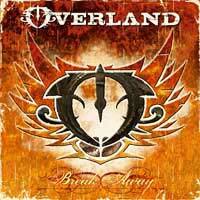 What we have here is melodic rock that reflects the times, with the classic Overland vocals. The above has been taken from www.melodicrock.com with thanks. 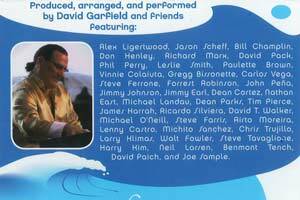 David Garfield released the Official LEN European Aquatics cd. ...During the Gala Dinner also the official Anthem of LEN has been presented and played live on stage by the author David Garfield. The tune is a 4 min. 11 sec. piece entitled 'Pool of Friendship', reflecting on the main messages carried by sport, that is: love, understanding, friendship and peace amongst the Nations. Apart of being an exceptional session musician (with Cher, Spinal Tap, The Rippingtons, Larry Carlton, Michael Bolton, The Blues Brothers, Brenda Russell, Rick Brown or Eros Ramazzotti to name a few), David has his own solo or band projects (Karizma and Los Lobotomys) and runs ongoing music relationships with George Benson (currently as Music Director), Boz Scaggs and Natalie Cole as well. The LEN Anthem, 'Pool of Friendship' has been written, produced and arranged by David Garfield. Recorded and mixed by Steve Sykes at Stage & Sound Studios, Hollywood, CA and credited with: David Garfield - keyboards, Steve Tavaglione - saxophones and EWI, James Harrah guitars, John Peña bass, Gregg Bissonette drums and Michito Sanchez percussion. The LEN Anthem together with a 30sec. LEN television jingle (trailer) will be played from now on at every and each LEN Event, at the competition site and by the start and finish of the TV broadcast sessions. The cd will be available soon to purchase. Stay Tuned! Alliance "The Road To Heaven"
Escape Music is very pleased to announce the long awaited release of the brand new Alliance album "Road To Heaven". 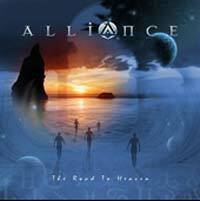 Road to Heaven is Allianc's third CD, and is chock full of powerful melodic rock music. Somehow these guys just seem to bond in a way that brings out the best in each band member. Tracks like “Road to Heaven”, “Anything Goes” and “Comin' Home” are some of the best songs the band has recorded to date." Alliance is possibly the band to successfully take this form of music into the future. What makes them more interesting is that the four musicians involved have such a high profile, and have all been involved with some of the biggest names in rock history. In fact, they still are connected to many famous bands, and despite hectic schedules they still manage to find time to devote to this very special band, Alliance. So who are these four people? First of all drummer David Lauser has spent most of his career with the Sammy Hagar Band, both touring and recording. Alan “Fitz” Fitzgerald needs no introduction; many of you will know that he plays keyboards for Nightranger and his work is unquestionably brilliant. Guitarist Gary Pihl has also worked with Sammy Hagar in the pre Van Halen days, but more importantly perfectionist Tom Scholz asked him to join Boston. His work can be heard on the later Boston albums. 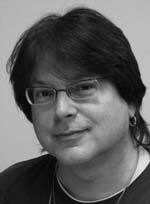 As for band leader, and lead vocalist, Robert Berry, he has become an icon in the rock world. Robert's work stems back to the late seventies, when his band “Hush” recorded a couple of albums, which never really got the attention they deserved. Escape Music released a CD in February, 1998 (“Hush” ESM 027) which helped lost recordings see the light of day. It was obvious that the band was way ahead of its time. Since then, Robert has become a household name in progressive and melodic circles. He has recorded at least three solo albums, recorded an album with Keith Emerson and Carl Palmer (of Emerson, Lake & Palmer) under the name of “3”. Robert now has his own studios, “Soundtek”, and this is where the first Alliance album was recorded for Escape Music. 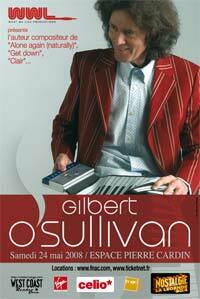 The Author of "Clair", "Alone Again (Naturally)" and "Get down", Gilbert O'Sullivan will play in Paris at l'Espace Cardin on May 24, 2008. 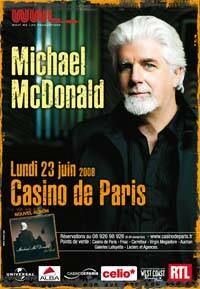 Michael McDonald comes back to Paris at Casino de Paris on June 23, 2008 to presents his brand new album "Soul Speak"! 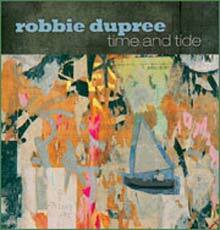 "Time and Tide”, Robbie Dupree's long awaited album now available. ZINC MUSIC is proud to presents The brand new studio album from Westcoast legend Robbie Dupree and band. "Time and Tide” marks the ninth studio record of the artist. The Tracks are: Wrapped Around Your Finger, Mystery World, Lucky, Sugar Tree, Blue Monday, Secret Love, Knocking On The Gates Of Eden, Satisfied & Judgement Day. Listen to "Wrapped Around Your Finger" & "Blue monday" preview sample on Robbie's page!